A team of researchers at Cornell University has found evidence suggesting that little dogs lift their legs when peeing at a higher angle than bigger dogs as a means of tricking other dogs into thinking they are bigger than they actually are. In their paper published in Journal of Zoology, the group describes a study they carried out with volunteer dogs and what they found. Most anyone familiar with dogs knows that they tend to pee in a lot of spots, especially males. They also seem to like peeing on objects that extend up from the ground, such as bushes, fire hydrants, etc. Prior research has suggested that such behavior is a way for dogs to communicate with one another. Communications can occur because dogs have very keen noses and brain parts able to tease out specifics from other dogs simply by sniffing their urine. By sniffing the pee left by another dog, dogs can learn a lot about the dog that did the peeing—such as its gender, age, fertility and some aspects of its health. These communications occur as a means for dogs to learn more about other dogs in the area, both male and female. And now it seems that some dogs have added a little something to the message they want to convey—some trickery involving size. It is assumed that a dog cannot discern the size of another dog simply by sniffing his pee, so that leaves some leeway for the donor, the researchers learned. Their study consisted of taking many dogs of all sizes out for walks and observing (and videotaping) very closely how they behaved when peeing. One important factor they noted was the angle of the leg when raised. Another was measuring where on an object the urine wound up. The team then analyzed their data looking for patterns—they found that little dogs lifted their legs at a higher angle than bigger dogs and in so doing caused their pee to be applied higher up on targeted objects than it would be otherwise. The researchers suggest this likely indicates that the little dogs are attempting to trick others dogs in the area into thinking they are bigger than they actually are. Scent marking is a common mode of communication in mammals. Such marking is thought to communicate information about the signaler's size and corresponding competitive ability and accurately reflect the signaler's attributes (i.e., an honest signal). However, new data suggest that scent marking can be dishonest in certain circumstances. Via two studies, we tested the hypothesis that urine marking is a dishonest signal in adult male domestic dogs, which raise a hindlimb when marking vertical objects. In Study 1, we tested whether raised‐leg angle (i.e., during a urination, the angle between a dog's raised leg and the axis normal to the ground) is a proxy for urine mark height (n = 15 dogs) and, in Study 2, we tested whether small dogs exhibit larger raised‐leg angles than large dogs (n = 45 dogs). We videotaped urinations of adult male dogs and, afterwards, measured height of urine marks (Study 1) and degree of raised‐leg angles (Studies 1 and 2). In Study 1, we found significant positive relationships between both raised‐leg angle and height of urine mark and body size (using either body mass or height at withers) and height of urine mark; raised‐leg angle was a stronger predictor than either measure of body size. In Study 2, we found a significant negative relationship between body size (using either body mass or height at withers) and average raised‐leg angle. Our findings support raised‐leg angle as a proxy for urine mark height and provide additional evidence that scent marking can be dishonest. Assuming body size is a proxy for competitive ability, small adult male dogs may place urine marks higher, relative to their own body size, than larger adult male dogs to exaggerate their competitive ability. We did not control for over marking, which also may explain our findings. 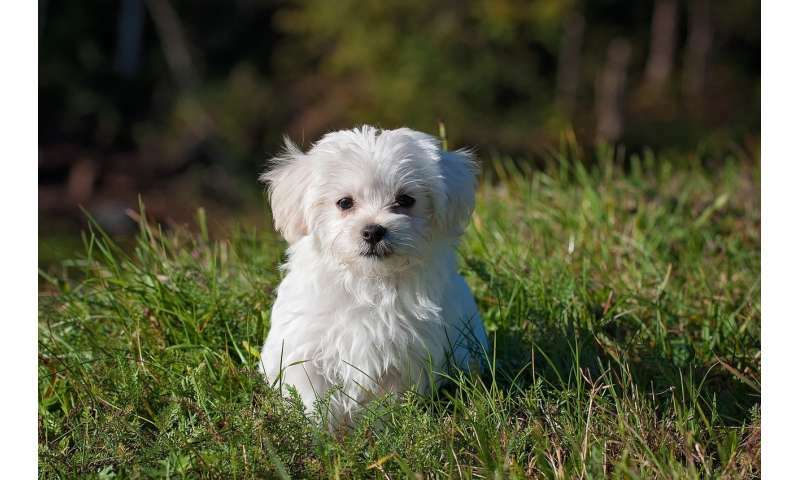 I knew a Maltese female that stood on her front legs to pee on at tree. I have always wondered if she was trying to be a bigger dog. How about they are avoiding the splash, leg higher because they stand closer to the spot. You can PayPal the research grant. Metaphorically, the intellectual 'little dogs' here post their pseudoscience and political propaganda again and again to compensate for their lack of scientific credibility. Smaller animals can lift proportionally larger weights for proportionally equal effort since their own body parts are smaller and lighter, for example ants are able to lift many time their body weight. So the smaller dog may not even be aware that his leg is at a higher angle because he is expending the same effort. This makes sense. While anecdotal, when using a urinal I tend to stand on my tippy toes to appear anatomically larger those around me.